Mycobacterium Tuberculosis that causes TB nearly affects more than 20lakh people every year. India accounts for more than 3lakh of death cases caused due to TB and ranks at fifth position on global scale in TB incidents. “Majorly disease affects the lungs of human body, but if it’s not treated it can spread to different parts of body through blood and can lead to secondary infections affecting kidney, pelvic, fallopian tubes, uterus, and brain. It’s a matter of great concern because, when bacterium reaches genital tract it causes genital TB, which leads to even affecting the fertility in both the sexes." 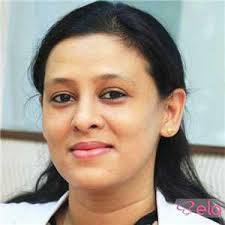 said Dr. Sagarika Aggarwal, Gynaecologist & IVF Specialist , Indira IVF Hospital, New Delhi. In women the TB in the genital tract leads to thinning of endometrial lining due to the infection in uterus, thus resulting as a barrier to proper development of fetus. The symptoms don’t appear easily and by the time it’s realized it already leaves an impact on the fertility of humans. Similar is the case with Mrs. Manjot Kaur, a corporate professional working in a leading company, Ludhiana. She decided to start her family life but soon at the age of 28 years was diagnosed with TB in her genital tract. She was absolutely puzzled as she never knew that TB can even affect her reproductive tract. The condition was so severe that it had affected almost her complete endometrium lining and fallopian tube. She had been facing complications like irregular menses, vaginal discharge with blood stains for over 5 months. As the bacteria remains latent, symptoms are persistent only at later stages. Due to constant inflammation and scarring of her uterine lining, it resulted in distortion of her normal anatomy causing obstruction in the fallopian tube. She was already in a state of mental shock after being diagnosed with TB( which is considered untreatable), and when she came to know that the TB has affected her fallopian tubes leaving her infertile, she was completely exhausted and dejected. Her mental condition was so bad when she also got to know that the probability of conceiving is only 1%. She was completely devastated knowing that she cannot enjoy her motherhood. Upon referral and consultations from family friends she visited Indira IVF Hospital with some hope. The doctors there told her not to worry as even TB is treatable with medications and the chances of conceiving also remains the same. Finding some ray of hope, she underwent treatment for TB with anti TB medications for 3-4 months. Diet played an important role in boosting her immune system as well. After the first IVF cycle she had conceived. She was limitlessly joyful and as excited as ever. Once when she had lost all hopes and thought it was the end of her life, with the help of Indira IVF Hospital, she has got a new lease of life. “ I was not even aware that TB can affect in any part of our body and not only lungs. The world had turned upside down when I got diagnosed with TB in my genital Tract. I thought it is a deadly disease and would cost me my life soon. I was newly married (at age 25 years) at that time and the infection had been affecting my family life as well. Further adding to the misery was when I got diagnosed for TB, the condition had spread across my uterus and fallopian tube, which meant that the chances of me, conceiving are zero. I was referred by my friend to Indira IVF Hospital where they actually councelled me that TB is not life threatening at this stage you have been diagnosed.